Part of the Michael Saunders & Company family for almost two decades, Debbie combines her passion for leadership and real estate as the Manager for the Palmer Ranch office. Drawing upon her extensive background in retail management and seasoned experience as a luxury real estate agent, Debbie provides exceptional training, motivation and support to associates with all levels of experience. In recent years, Debbie made local headlines when she spearheaded an initiative to bring a team of fresh, newly-licensed faces to the company, many of whom became top-performers. Their success is in part a testament to Debbie's hands-on leadership style and genuine desire to see her associates reach their potential. Debbie has lived in Sarasota since 1998, and has seen the many intricacies of the ever-changing real estate market. She believes in continuing professional education which is why her list of designations includes Graduate, Realtor Institute (GRI), e-PRO and At Home with Diversity (AHWD). 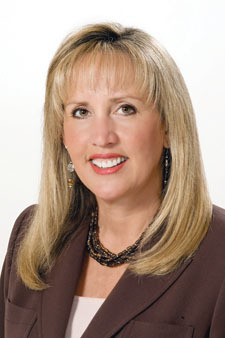 Debbie is also a graduate of the Sarasota Association of Realtors Leadership Academy, and the Leading Real Estate Companies of the World Maestro Leadership Academy. When she is not catching up with her agents, studying the latest market trends, teaching training classes or presenting the weekly sales meeting, you can find Debbie on the golf course.